Vimark manufactures under a quality system certified according to ISO 9001, Quality Management Systems, by accredited certification of QA International Certification Ltd (UKAS) body. Vimark supplies products that comply with the relevant international standards and are guaranteed to be free from defects in materials or manufacture for a period of 10 years from the date of purchase. Warranty is subject to conditions. Vimark believes that its management system for Quality, Environment and Safety is a tool that provides added value to the company, through continuous improvement of efficiency, customer satisfaction and protection of the environment and the people that work for and with the company. For its Quality, Environment and Safety management system Vimark chose the principles established by ISO 9001, ISO 14001 e OHSAS 18001. We all know what we need to do to protect the environment, whether that is recycling, reducing our power consumption by switching electronic devices off rather than using standby, by walking short journeys instead of taking the bus. Businesses are regulated to prevent pollution and to keep their own carbon emissions low. There are incentives to installing renewable power sources in our homes and businesses. Environmental protection is the third pillar and to many, the primary concern of the future of humanity. It defines how we should study and protect ecosystems, air quality, integrity and sustainability of our resources and focusing on the elements that place stress on the environment. Maintaining a high level of quality service to our customers and stakeholders is essential to our success and our ability to deliver what we promise. Therefore, we educate our employees to have insight in markets and the skills and competencies required to ensure that they understand the needs and desires of all our customers. Only in this way can we be sure that we are able to consistently deliver what we promise. We want to build your dreams. Download our ISO 9001 certificate. Download our ISO 14001 certificate. Download our OHASA 18001 certificate. Vimark is a worldwide leader in innovation, development and supply of modern renders, rendering techniques and systems. From modern and innovative render systems in commercial buildings to traditional trade products in domestic applications Vimark products are chosen with confidence. 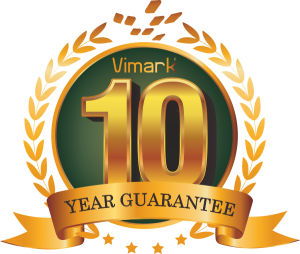 Striving to provide the best service possible, with the highest regards to quality and top performance materials, Vimark products have a ten year guarantee. Our goal is to provide our customers with easy to use, high-performance products that comply with the varied requirements of the building trade. How you can obtain our warranty? 1) Fill the form below to receive the warranty document. 2) Attach your receipts of purchase to a printout of the warranty document and keep these documents in your files for future reference. 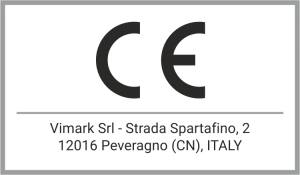 On 1st July 2013, it became a legal requirement for construction products within the scope of harmonised European Standards to carry CE marking if they are to be placed on the market in the UK or Europe. The Construction Products Regulation (CPR) requires all construction products covered by a harmonised European standard to have a Declaration of Performance (DoP) drawn up and to be CE marked (European Conformity marked). Construction products covered by this regulation cannot be legally sold in the UK or within the rest of the Europe if they do not comply, even if the product is an established one. This is a legal requirement and applies to manufacturers, importers, or distributors of affected construction products placed on the market in the UK and Europe. Manufacturers, importers and distributors may also CE mark their products where they are assessed to meet the requirements of an applicable EOTA-approved European Assessment Document (EAD) (including existing European Technical Assessment Guidelines, or ETAGs). Each directive covering our product specifies whether an authorised third party (Notified Body) must be involved or not in the conformity assessment procedure necessary for CE marking. It is our responsibility to test the product and check its conformity to the EU legislation (conformity assessment procedure). One part of the procedure is, as a general rule, a risk assessment. By applying the relevant harmonised European standards, we are able to fulfil the essential legislative requirements of the directives. The 2017 NHBC Standards will come into force for every new home registered with NHBC on sites where foundations are begun on or after 1 January 2017. The 2017 edition includes a brand new Chapter 6.11 on render as well as changes to other chapters. The NHBC Standards contain the Technical Requirements, performance standards and guidance for the design and construction of homes acceptable to NHBC. The home is defined in NHBC Rules for builders and developers registered with NHBC. The Standards come into effect for every NHBC registered home whose foundations are begun on or after 1 January 2017 and they apply throughout the UK, unless otherwise stated. The Standards are divided into 10 Parts, each covering a particular element and subdivided into chapters which, in principle, follow the normal build sequence. Our render product meets the technical requirements of NHBC Standards 2017 Chapter 6.11 “Render and rendering systems” and therefore acceptable for use on developments intending to be covered by the NHBC Buildmark Warranty.